I took I-10 to start off with to save time as it’s a long drive today (Hwy 61 actually runs past the airport and in fact I did drive on it for a very short stretch when I was leaving the rental car area, and I could have stayed on it to get to Baton Rouge but time is off the essence…) and by the time I’m done, I’ll be in the heart of the Mississippi Delta. I reflect on New Orleans as I drive and wonder if I should have ventured away from Bourbon Street to find some music clubs, especially on the last night after two interesting but relatively music-free evenings. Probably, I think to myself, but what’s done is done and I’ll make sure I seek out new places in the days to come. The road is not like I expected, I don’t know why. 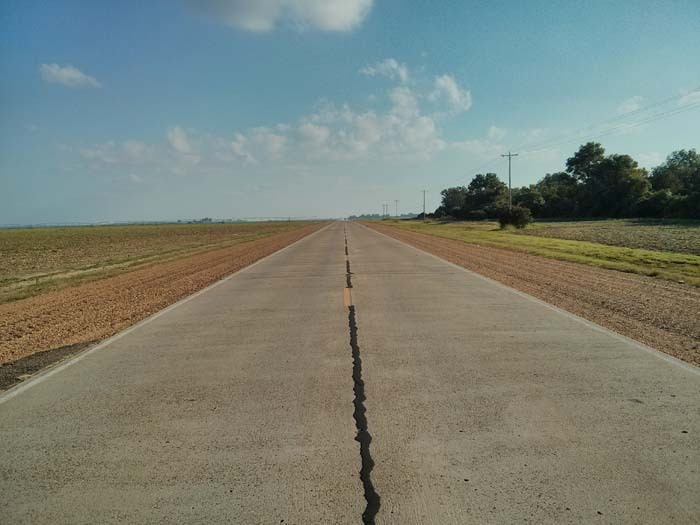 Hwy 61 is just like the Interstate: it’s not a two lane road on this stretch like I thought it would be – apart from in a few places – but a two-lane dual carriageway with a huge central reservation and no crash barriers. But you wouldn’t need them because it must be 100 yards between the carriageways and the ground dips in the middle so any car coming off the road would get stopped in the middle. Talking of getting stopped… there’s hardly any other cars on the road and without realising it my speed keeps creeping up, so I’m constantly having to remember to slow back down to 70-75 mph (which is what most people seem to drive at). Anyhow, next thing I know there’s some flashing blue lights on the car that’s rapidly coming up behind me – realising it’s the police I pull over. It’s a State Trooper who tells me I was doing 96 in a 65 zone! I apologise profusely and he realises I’m not from the US and asks me what I’m doing here. I tell him the story of my plans and how I’d only picked the car up two hours ago, more apologies from me – “I must still be getting used to these new roads”, I plead. He then goes back and spends about 10 minutes on his radio checking me out – passport, licence, rental contract – and eventually comes back to tell me my fate. He very kindly suggests that I keep a closer watch on my speed and – thankfully – lets me go… my guess is that he couldn’t be bothered with all the paperwork for a non-US citizen. Thank you, sir. The road undulates and meanders in places but increasingly there are long, straight flat stretches and, keeping a close watch on my speed. Obviously the road on this stretch has been improved and upgraded over the years but with so little traffic on it, making it ‘Interstate-like’ seems a bit of overkill: maybe it gets a lot busier at other times of day. I arrive in Natchez around lunchtime and look for somewhere to eat. Not wanting to waste too much time, I spy a McDonald’s. I get out of the car and find I cannot lock the boot (trunk). I spend five minutes messing about with it but it will not lock so I get my suitcase out of the boot and put it on the back seat. Doors – but not the boot – securely locked, I partake of Ronald McD’s finest cuisine. After a hearty burger and Sprite, and then trying to fix the boot problem again without success, I’m about to drive off and notice my mobile phone has roamed from T-Mobile to AT&T. My phone also indicates I’ve got a voice mail – but I can’t access it. I ring Customer Support and they turn out to be excellent in resolving the problem, quickly as well (it was because I’ve roamed; when I get service back from T-Mobile a few miles later, I can access voice mail again but it’s just a stupid welcome message). Out of Natchez and back onto long straight stretches of road through flat open countryside and, whilst it’s very flat, it’s somehow quite scenic. 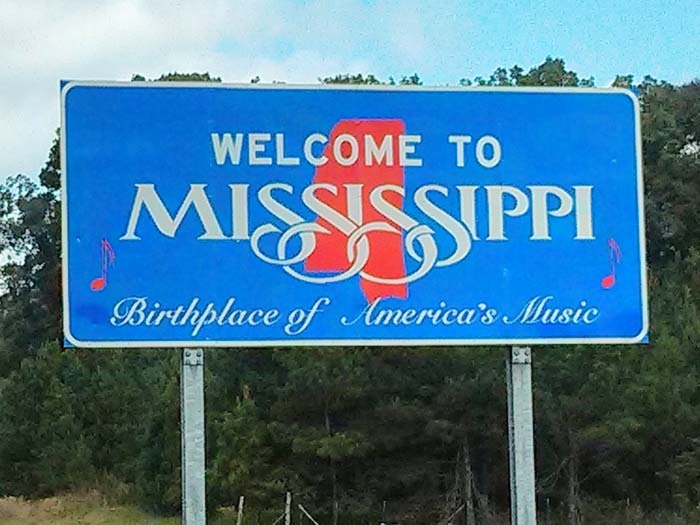 I pass through Vicksburg and head north towards Leland. After a while I notice what seems like fields covered in snow so I pull over and take a look. 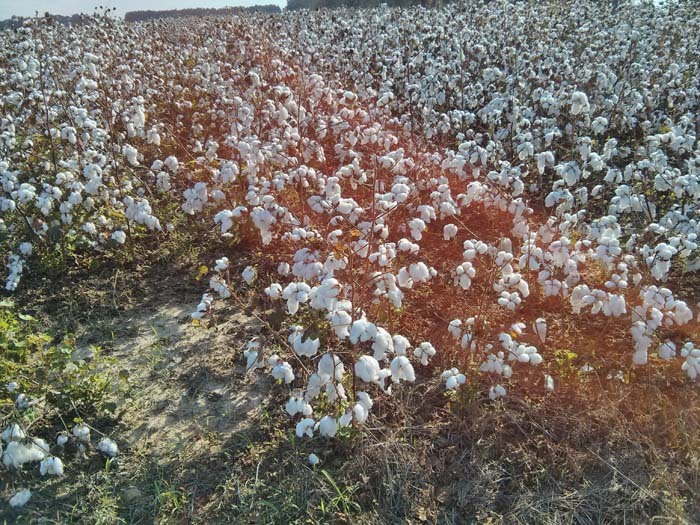 Cotton fields! I’ve never seen a cotton bush before, and I pick a couple of blooms as souvenirs. Can I get them home in one piece in two weeks time? To get me from A to B I’m using Google Maps on my phone – and with GPS it’s amazing, complete with real-time tracking and directions: who needs a map? Well it is a map of course but I’ve never used Maps much before and the level of detail and accuracy is superb. 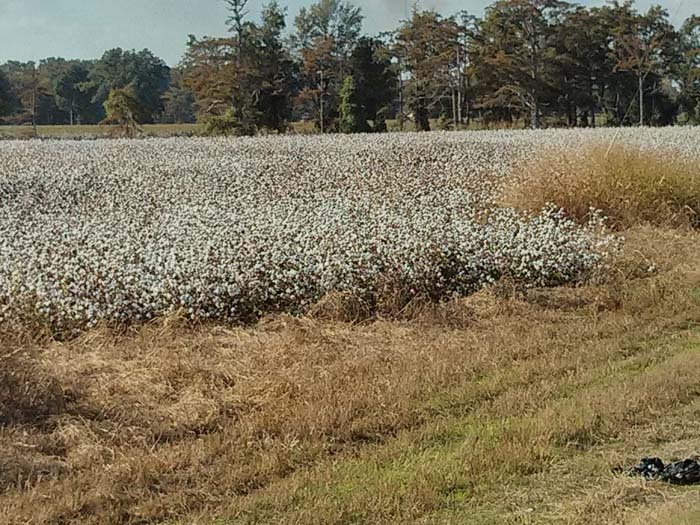 Through Port Gibson and towards Vicksburg there’s no proper towns just a few crossroads and houses by the side of the road. Vicksburg comes and goes with some roadside stores and petrol (gas) stations, then nothing again but open, flat road for miles and miles, punctuated by the odd house or farm building. The sky remains mostly clear of clouds and is a very bright ‘sky blue’ in colour. After Redwood the road becomes one lane either way, which is more what I expected. Then it’s onto Cary then Rolling Fork, Anguilla and Hollandale as Leland gets closer. The drive is almost mesmeric in its simplicity and, yes, beauty, to an extent, but I’m not bored at all by the long, open, flat and straight stretches of highway. Looking at a map later I can see that there are a few very short sections of road parallel to today’s Highway 61 that are labelled Old Highway 61: so when the road was improved in the past, they obviously decided to re-align it in some places but so far, I’ve been on the original route of Hwy 61 almost all the way. 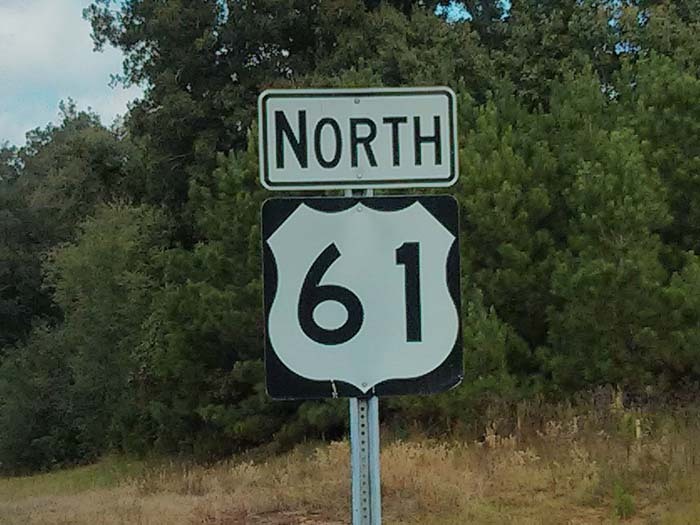 However after Hollandale and up to Leland (about 15 miles) I notice afterwards that today’s 61 has a more direct and straight routing, and the old highway is still there (and can be driven on), about half a mile west. But it’s a long drive today and I think later that I didn’t have time for detours today, plus, looking it up on Google Street View, I can see that there is no difference in the view from either road, it’s just the same countryside. On the outskirts of Leland I turn right onto 82 East, back onto a four-lane highway, pass through Indianola – a place to visit tomorrow afternoon – and head towards Greenwood, home for the night, just a few more miles up the road. Some 300 or so miles after setting out this morning I arrive in Greenwood, in the heart of the Delta, just as it’s getting dark. The Best Western hotel is in pretty good condition for $80 – in fact it’s excellent. I’m doing a tour tomorrow with a guide – Sylvester Hoover – and he’s asked to meet up tonight. He owns a diner as well so I’ll grab some food there. The hotel’s not that far from his diner and I head over into the centre of Greenwood. It’s fully dark by now and it’s difficult to tell but the area looks slightly run down in places. As I drive along looking for the diner, the roads and pavements (sidewalks) are quiet, generally empty of cars and people, but then I spot small groups of African American guys sitting outside on the front porch of their houses. I can see their eyes tracking me as I drive by and this, allied with the quietness of the area, puts me slightly on edge. I find Sylvester’s diner, the Delta Bar & Grill at 607 Main Street (it used to be called Memphis Style Best Wings), and park up by the side of the road. There’s still no-one around and the diner is quiet inside as well. But Sylvester’s at the counter, and he greets me warmly and introduces his wife. He’s a really nice guy and we just chat generally about this and that. A couple of people come in for take-out and Sylvester introduces me to them as well – all real friendly folks and this makes me feel at ease again. Sylvester’s wife does the cooking in the diner and I decide to have some wings and fries. OMG! BEST WINGS EVER – and I’ve had wings in a few places around the world. The fries are excellent too. With food like that the diner should be a success – it’s only been open for a month or two, and it’s a simple place, sparsely furnished, but there’s nothing wrong with that. We agree he’ll pick me up at the hotel at 9.30 tomorrow morning but it’s been a long day so, after a couple of hours, I decide to head back to the hotel. Walking back to the car I see a couple of guys on the other side of the street and I realise then that I’ve not seen a single white person anywhere since arriving in Greenwood earlier, only black people. 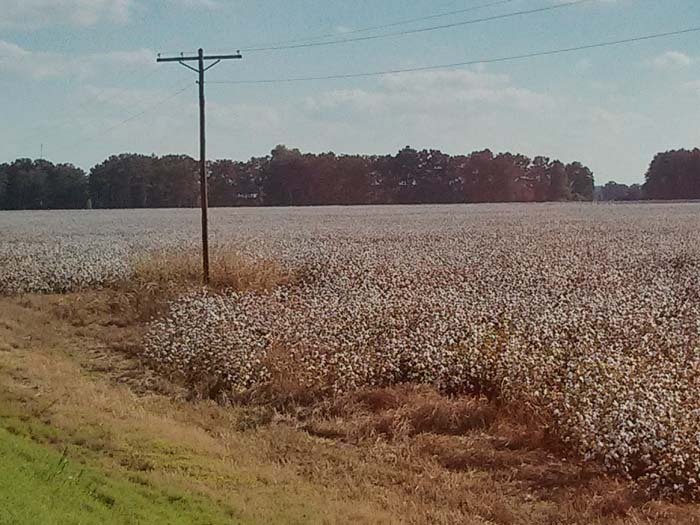 I had no idea what to expect in the Delta in 2013 but it’s very different from home. Before getting in the car I see a store a couple of doors down so decide to buy some beer. The store is run by a Korean guy who doesn’t speak much English – and doesn’t sell beer! The liquor store next door has no beer either but the guy in there sends me to the DoubleQuick petrol (gas) station just over the road. There’s quite a few cars on the forecourt outside and when I get inside the store I see that the dozen or so people in there are all young black guys in their late teens and early twenties. So I’m just minding my own business trying to find the beers but as I wander around the guys start speaking to me, saying “Hi”, “How y’doin”, and – bizarrely – “Excuse me” for no apparent reason. And all of them call me “Sir” every time they talk to me, which I don’t understand – it didn’t happen at the hotel earlier, or in the diner. Is it because I’m about twice their age? Whatever, it’s all very polite and to a man they are overwhelmingly pleasant. I reply to their comments but for me it’s a kind of strange interaction with them as I would never experience similar behaviour anywhere in the UK. Is this just ‘southern hospitality’ and friendliness? I’m not sure what to make of it and I resolve to talk to Sylvester about it tomorrow. Beers purchased, I get back to my car and then the hotel, have a beer whilst reading my novel, then it’s lights out. 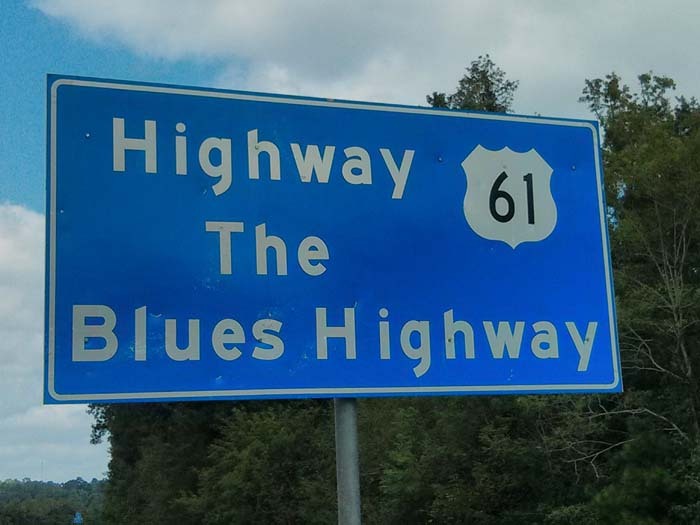 * The official designation for Highway 61 is U.S. Route 61 but The Blues Highway is almost always referred to as Highway 61, not Route, as far as I can determine.